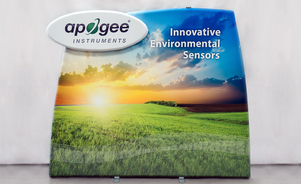 Only looking for assistance with one portion of your exhibit marketing program? We can help! Seeking an experienced company to become your trade show manager for your entire event program? We can help with that too! When it comes to planning for your next trade show, there are a lot of moving pieces to organize and plan for - so why not leave the exhibit management to the experts? 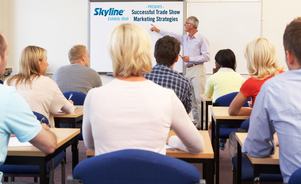 Skyline Exhibits Utah can help you with every aspect of your trade show marketing program, or we can only help with whichever certain pieces that you specifically need assistance with. From properly ordering show services and coordinating the shipment of your exhibit properties to storing your booth in between events, we have Skyline resources to handle it all! You have an average of three seconds to make enough of an impact on an attendee at a trade show to inspire them to stop and learn more. Our experienced exhibit designers meet with you during a discovery meeting to learn about your event objectives so they can create an exhibit that is both unique and relevant to your specific vision. 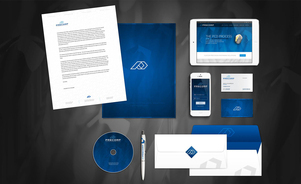 They also focus on understanding your brand so that they can make your brand identity the focal point of your display and ensure it is instantly clear to attendees who you are and what you do. 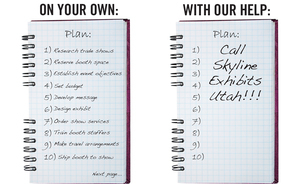 Skyline Exhibits Utah offers marketing driven creative support via our in-house Creative Services Group (CSG). From enhancing your trade show results to completely building – or rebuilding your brand, Skyline's CSG excels at creating promotions, graphics, powerful videos, and animations that will take your brand to the next level. Rely on us for top level marketing, design and technology solutions. 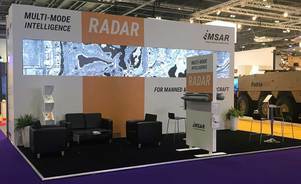 Don't just take our word for it - watch the video above to see examples of how we have helped several clients with their trade show and marketing needs. There are advantages to both buying and renting your trade show display. Rental exhibits allow you to stretch your event budget while more easily changing your look, or to create a larger presence at your key shows without investing in the additional components. Skyline Exhibits Utah offers an extensive catalog of rental hardware that you can add custom graphics to. This a great option to create a unique display that you don't have to worry about storing in between events - saving money without compromising quality. Take the nuisance out of trade show display I&D by hiring certified Skyline technicians to take care of it. 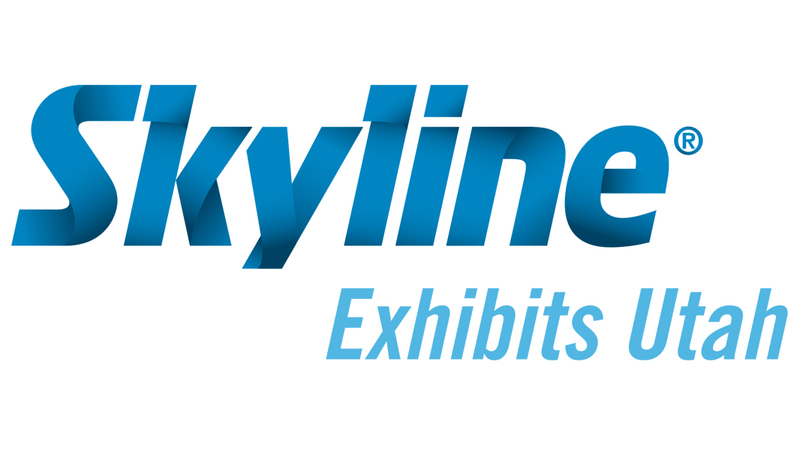 Skyline will stage your exhibit pre-show to ensure everything is up to par, and then will install it at the show site so that all you have to worry about upon arrival to the show floor is exhibiting. Our team members are thoroughly trained on Skyline products to ensure proper set-up of your space, without you having to physically be there. Skyline can also provide supervision to show labor to ensure everything is installed perfectly. Our local Utah team members have been in the trade show scene for quite some time and love to share their extensive experience and know-how with others to help improve their event results. If you have questions about best practices within the industry, or just want to bounce an idea off someone, give us a call. We also offer several free educational resources including local live seminars, monthly webinars, a Trade Show Tips Blog, and several white papers and books covering a broad range of trade show topics that are sure to boost your trade show ROI. Questions about our services or capabilities? Don't see what you are looking for listed here? Chances are we can still help! Reach us by phone at: (801) 890-5130 and we will undertake your next event together.